Hello 2019! How is your year going so far friends? Sorry I missed last week’s blog post, but I needed a little break while starting back at work and adjusting to life in London again. I hope you guys didn’t mind. Comment down below how your year is going so far and what you’ve been doing to keep your January exciting. For the the first post of 2019, I wanted to look back at some of the most exciting and pivotal things that made my 2018 so great, so here we go! My first trip of the year was to visit my bestie in Philly! We also made a quick trip to Washington D.C. where Joud’s working and studying now! I had so much fun with my bestie and learning about all of her favorite places. I can’t wait until we get together for our next adventure. Hopefully she’ll be the one visiting my new city this year! Turning 23 was a great birthday! Twenty three was a big year for me and Derby, who turned 14 years old! I loved celebrating with my fam and the pups. A girl’s trip to Destin was a much needed break in the summer. I had so much fun with my mom, Mrs. Cindy, and June. We walked the beach, read books, and picked up a bit of a summer glow. I can’t wait to plan the next mother-daughter trip! The next destination I was lucky enough to visit this year was San Diego with the rents! It was kind of weird not having Ferg around, but it was nice to spend some quality time with mom and dad before heading off on my internship and San Diego was stunning. At the beginning of August, I set off on my internship journey! It was scary and new, but one of the best experiences I’ve ever had! 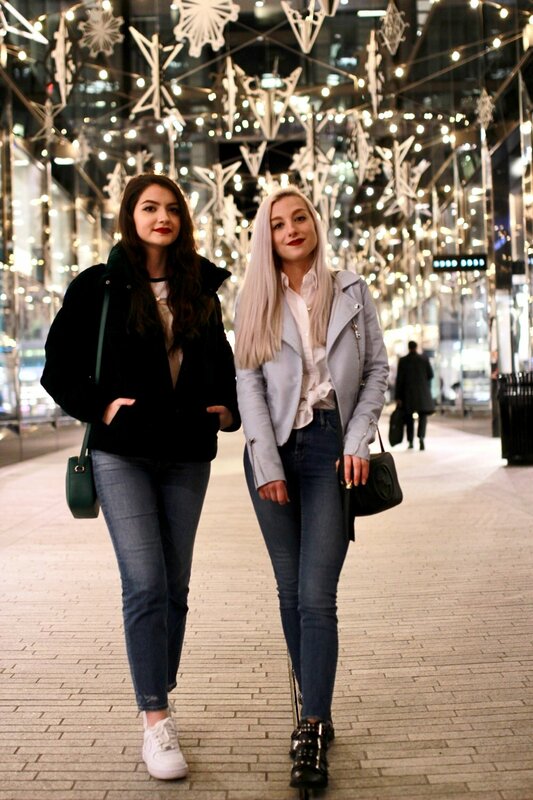 I got to meet some amazing new friends, work in the fashion industry for the first time, and visit some of the most amazing London locations I’ve always wanted to visit. Getting to visit London’s art museums has been so fulfilling as an art & design major. I got to see artworks I’ve written papers on and studied for over four years. I got to see famous pieces like Van Gogh’s Sunflowers, Monet’s Lilly Pads, and Joseph William Mallard Turner’s The Fighting Temeraire. I definitely geeked out a bit! Visiting Brighton with my new friends was such a good day! I’ve wanted to visit Brighton ever since Zoella moved there and I saw how much she really loved it! It was such a cute seaside town with unique boutiques and fish and chips on every corner! The career highlight of this year was 100% getting to experience my first London Fashion week! I could talk about this experience all day long, but I’ve already written a blog post on it so go and check it out for all the juicy Fashion Week details. After my internship ended, I got the chance to spend more time with some of my favorite family members that I didn’t get to see much living in the US. I got to spend time bonding with my aunts, uncles, and cousins and got to relax with my grandparents. After all these years of living away from them, it was so nice to be able to get to know them even better and do fun things together in my hometown. This year, I finally got to visit my brother in his new city! I had a lot of fun seeing Fergus’ new place, meeting his roommates, and visiting some of his favorite food spots! I hope to visit him again soon, so we can have more bro-sis time. I think Fergus and I became a lot closer in 2018. Soon after visiting Fergus in Newcastle, we flew off to Milan for a quick weekend trip! One of the best things about living in the UK is that travel around Europe is a lot more affordable. It was so nice to spend time exploring a new city with my bro. I can’t believe how much we squeezed into a couple days. We even got to see my Italian pals who I interned with! We saw so many cool things while we were there and Fergus took some amazing photos for the blog too! 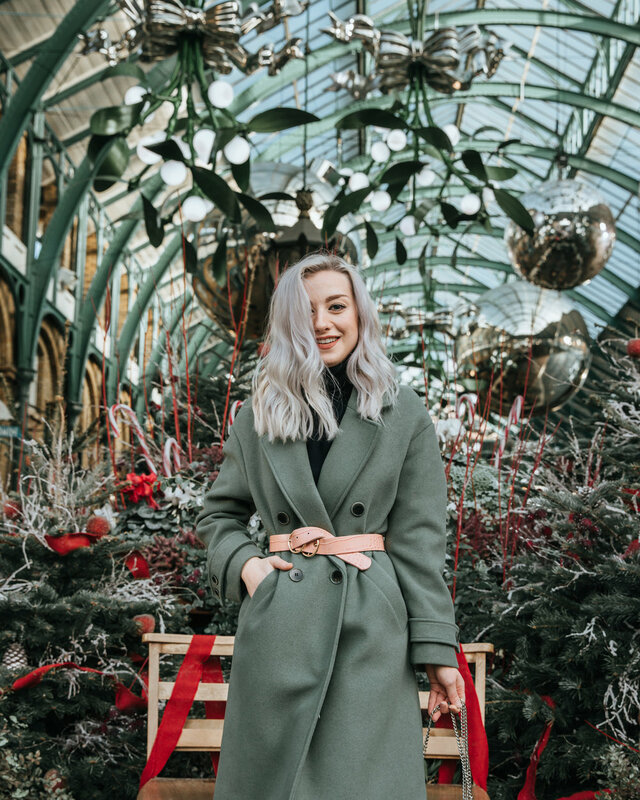 Experiencing Christmas time in London was so magical! I can’t wait for Christmas time to come around next year with all the festive decor, ice skating, and Christmas markets! Thank yo so much for reading my first blog post of 2019! Leave a comment below with the most exciting thing you did in 2018. I can’t wait to hear what your 2018 highlights were. Thank you to everyone who took my photos in 2018 and really contributed to my blog. Also thank you to everyone who read my blog posts in 2018. It means the world to me. Check back next week for a new blog post and here’s to a great 2019! A Look Back at 2018..Did I Achieve My Goals?